This device is ready to become key player in your office. 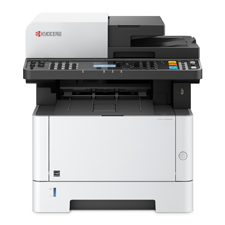 With a print speed of 40 pages per minute, short first print and first copy times and professional scanning features, including simultaneous scanning of both document sides, they will surely help boost the productivity in their respective workgroups. Its low TCO makes them a very affordable and reasonable choice. Toner and paper capacity are equally impressive too, with up to 12,000 pages from one toner cartridge and up to 850 pages with two optional paper feeders. And as is to be expected from any KYOCERA device, they are extremely reliable, meaning you can stay productive as long as you need to.